Palo Alto is one of the most expensive cities in the United States, and not without cause. 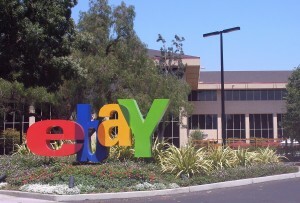 It is located in the heart of the Silicon Valley and has been the birthing place of many successful startups including big names such as Paypal, Facebook, Google and Pinterest. Not only that but Palo Alto also currently hosts Hewlett-Packard, Skype, Tesla Motor’s and VMware. If you are looking for a city to make your next big break in, Palo Alto is the place to be. And lucky for you there are plenty of Palo Alto short term rentals available. We all know that startups can have the lifespan of a mayfly. They could take off and become the next big thing or they could crash and burn. Either way, you probably won’t want to be buying a house in Palo Alto-one of the most expensive cities out there. This is where Palo Alto Short term rentals come in handy. And easy and much cheaper alternative to dishing out the big bucks on a place that might soon be obsolete. Instead just move into a short term rental for as long or short a time as you need. Also, you don’t want to have to worry and stress over housing. After all you’ll want to be focusing on your startup. With Palo Alto short term rental all that is taken care of for you. You can put all your brain power into making sure your startup is successful and leave the thinking to us! All in all it is clear that Palo Alto is the place to be in terms of start-ups. From Google to Skype to Tesla Motor’s Palo Alto has always been the place to produce the next big thing. If you want to learn more about startup opportunities in Palo Alto there is plenty to read. And always we offer plenty of short term rentals for your working convenience. Be sure to browse our Palo Alto Short Term Rental Opportunities.